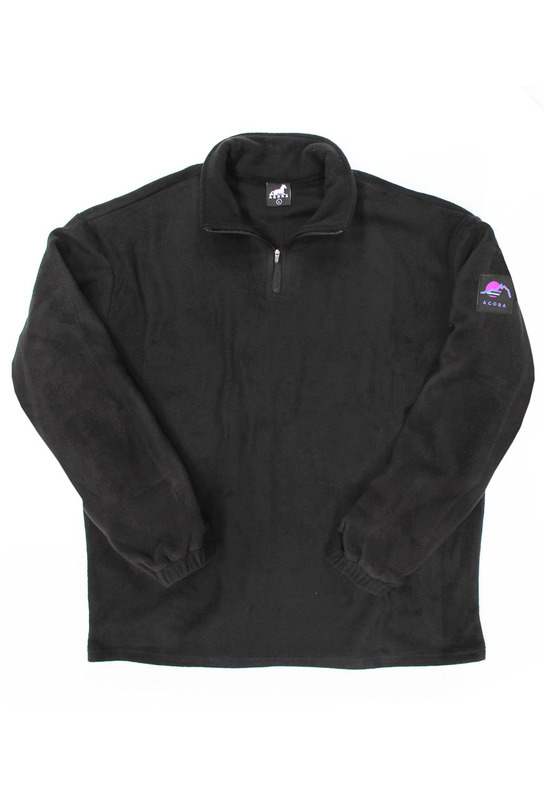 Agora Terrain Fleece. 300GSM poly pullover sweater with quarter length invisible zipper. Agora patch on sleeve. Tailored, lightly boxy fit.